This is currently my favorite frame. The foldable arms make the ZUUL so freaking tough. The wide body makes building a breeze. The base plates are spaced apart 10mm for mounting the ESCs inside the body. 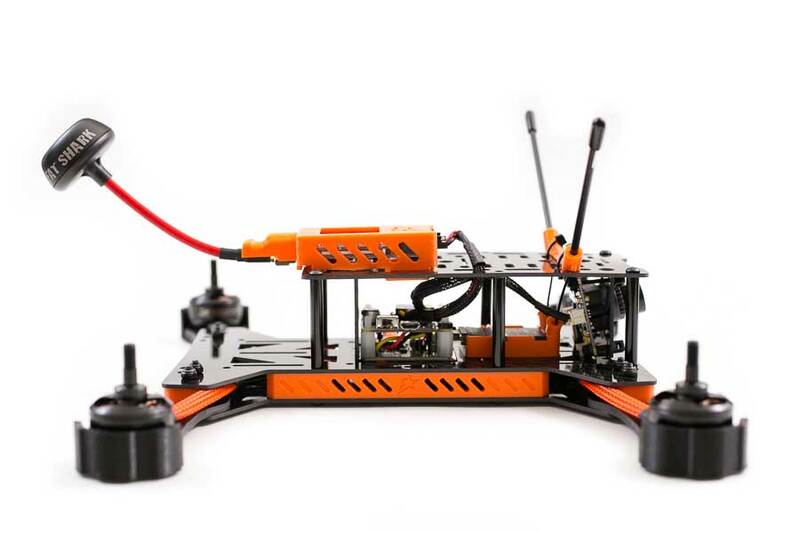 The wider body of the Zuul frame allows for more room to mount components. All of the arms on the Zuul can be folded in for compact transport. The folding arms also collapse during a crash to prevent damage to the frame. Don’t want the arms to fold? No problem, there is a fixed position hole for that! Firewall plate to keep the battery from impacting the flight controller. Firewall is not compatible with larger flight controllers with 45x45mm mounting. Wheelbase: 285mm (diagonal motor to motor). Fits 6″ props. Material: 3K weave carbon fiber. 3mm thick arms, 1.5mm for all other parts. Show below with the optional ZUUL motor guards, PDB spacer and ImmersionRC 600mw VTX case.